NOW INCLUDES THE INDIE BIBLE 16th EDITION! YOU'll MISS OUT! Everyone has a friend, family member or loved one in a band! Get them connected! I scraped all the email addresses out of 25+ PDF's... There's over 10,000+ of them in a text file. This also includes the PDF's with addresses, phone numbers, and names. Get connected with thousands of premium, hand-selected music industry contacts; including record label A&R, music managers, record labels, music agents, music producers, radio stations, music distributors, TV and Film music supervisors and music publishers! You don't even need a demo! Just send them your reverbnation link or website! 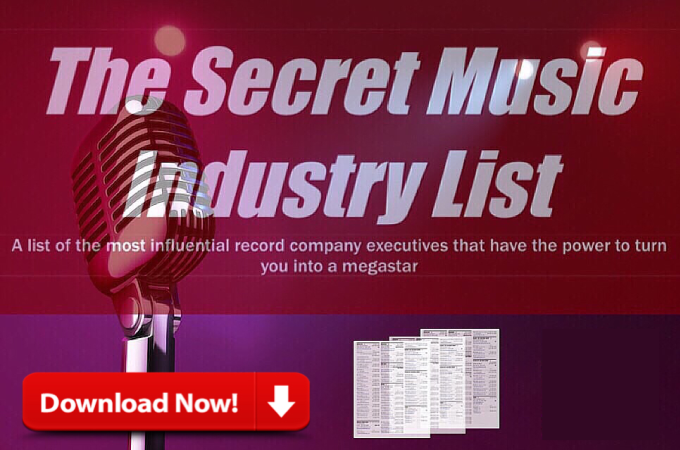 Exclusive Music Industry Contact List You'll Miss is ranked 5 out of 5. Based on 3 user reviews.